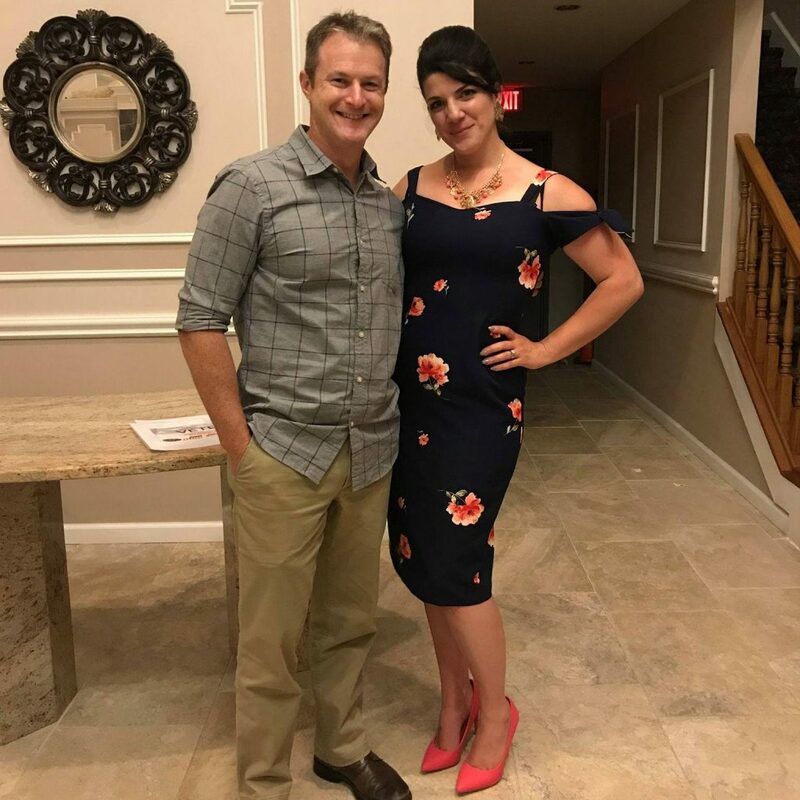 I had the pleasure to entertain this strong woman at the Chaz & AJ Veterans Gala over the weekend. Her story is her own but echoes others. This is what courage looks like. It’s not on display, often written about or portrayed accurately. It’s living with traumatic events daily and dealing with them during the quiet moments of life. Having the strength to fight through, talk & share. I watched a room full of over 500 people come together in a small pocket of our land to help, support & show their appreciation to a Military Veteran, mother & fellow community member. That’s the world I like, want & will do my best to continue living in. Because it inspires me. If you want to make a difference in the world, start with your own. It’s something I’ve witnessed time and time again. 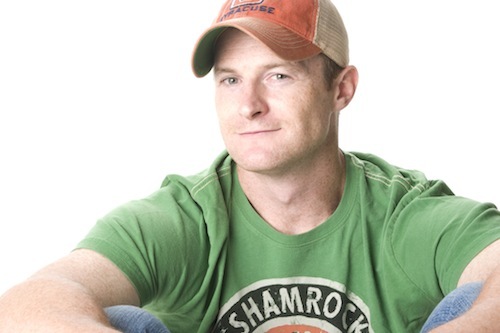 U.S. Army Specialist Ryan Dostie is a shining example. Her family, friends, community & fellow veterans are the better because of the very hard steps she’s taken. Thank you Ryan! My first trip overseas to entertain the troops in Afghanistan and Iraq was in 2004. I was 32 at the time. Close to 80% of our current military weren’t even in high school yet. Comedy and the reality of war have been two consistencies I’ve lived with daily since. On every trip to a war zone, I make new friends and can’t help but identify with them. In 1990, I was a fresh faced seaman. Every time I return home from one of my comedy tours, I pray they do the same…return home. Safely. Unfortunately, this isn’t always the case. My first few weeks home are always a struggle to readjust my sleep and my mental state. I come home caring about different things and taking a very large majority of the world’s problems more seriously. My girlfriend had to sleep in another room last night because I was reacting to every sound and jumping in my sleep. In the four years we’ve been together, that has never happened before. Being an entertainer seems so petty to me, when the handshakes, life talks, courage, selflessness, shared laughter, names, and faces are fresh. It doesn’t just shut off for me. It chips away at a part of me each time, without my really being conscious of it. The mind is brutal when you’re not mindful of it. A big part of it is survivor’s guilt. Although I’m very happy not being in the military anymore, the loyalty and connection to every brother and sister serving never leaves. I’m grateful that I’ve been doing this long enough to understand/recognize these steps and I feel like I’m mostly sharing this for my fellow comedians who are also military veterans. 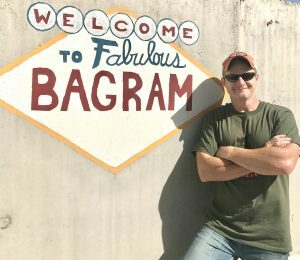 For everyone else, my point is that these trips I’ve taken to make service members laugh are a complete privilege, but at the same time they break my heart and are a complete mind f*ck. They have had an impact on my thoughts, feelings & life. For the past 10 days I traveled throughout Afghanistan with these comedians. 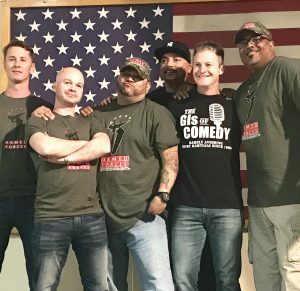 All military veterans whose mission was to make every troop we had the pleasure to perform for laugh. We are accompanied here by the heroes who were in charge of keeping us safe throughout our tour. It’s one of my life’s greatest pleasures to befriend people like every single one of these gentlemen while entertaining our men and women answering the call. From big established bases to remote small FOBS (Forward Operation Bases), the mission was executed perfectly. I feel extremely thankful today in particular because I try to honor our brothers and sisters lost by living the fullest life possible. Every trip taken to see our service members reminds me the value of life and freedom. Thank you To The Fallen. 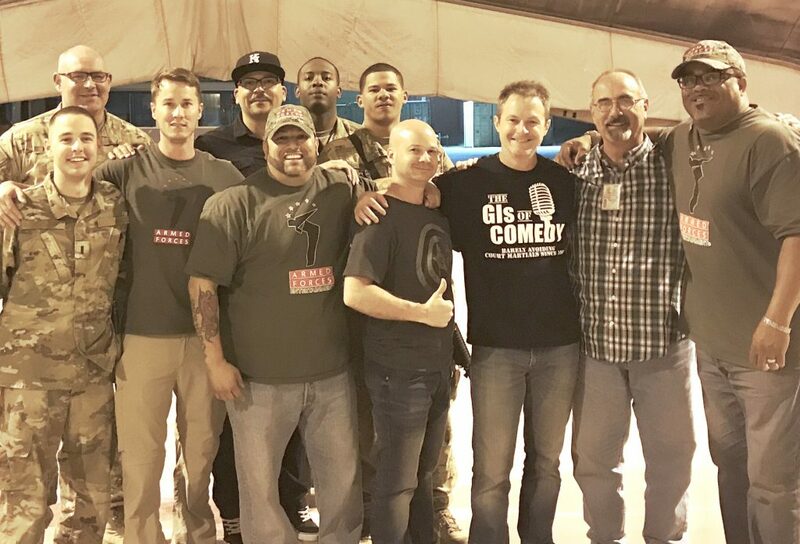 Great GI’s Of Comedy organized Armed Forces Entertainment. This Memorial Day interview I did with Bridge Street in Syracuse really explains why it’s so important to me. Thanks for having me ladies.